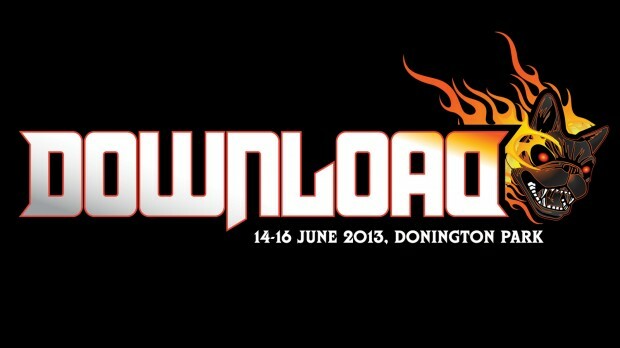 Download announce more awesome bands!!!!! The almighty Download Festival have just announced a further 25 bands to the already amazing line up that features headliners Slipknot, Iron Maiden and Rammstein. The festival which takes place on June 14th/16th will be the highlight of the metal calender this year with a staggering collection of some of the worlds most popular live acts. Among the latest addition to the bill include Thunder, Kvelertak, Devin Townsend and We Are The Ocean. As well as the jaw dropping headliners you can also expect to see, Alice in Chains, Mastodon, Queens of the Stone Age, Red Fang, Ghost, Limp Bizkit, Volbeat, Stone Sour, P.O.D, Korn, Down, Cancer Bats, Converge, Airbourne, Motorhead, Parkway Drive, Motionless In White, Satyricon, Buck Cherry plus tones more. Having last played Download as one of festival promoter Andy Copping’s ‘secret acts’ in 2009, classic rock favourites Thunder will be returning to Donington soil on the Saturday – hopefully guitarist/singer Luke Morley will have recovered from riding 161 miles on a pedal bike from London to Donington as part of the “Heavy Metal Truants” charity bike ride organized by Iron Maiden manager Rod Smallwood! 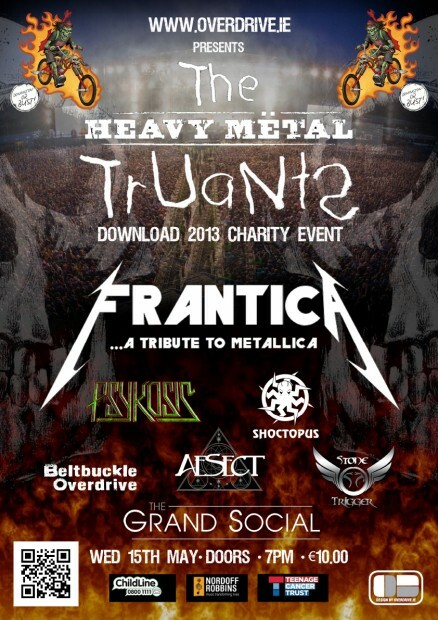 Overdrive will be hosting their very own Heavy Metal Truants Fundraiser on May 15th in The Grand Social see link below. For more information about Heavy Metal Truants go to www.heavymetaltruants.com. Overdrive’s Heavy Metal Truants gig will be taking place on May 15th 2013 in The Grand Social. For more information contact +353 1 6853550 or send email to oran@overdrive.ie. 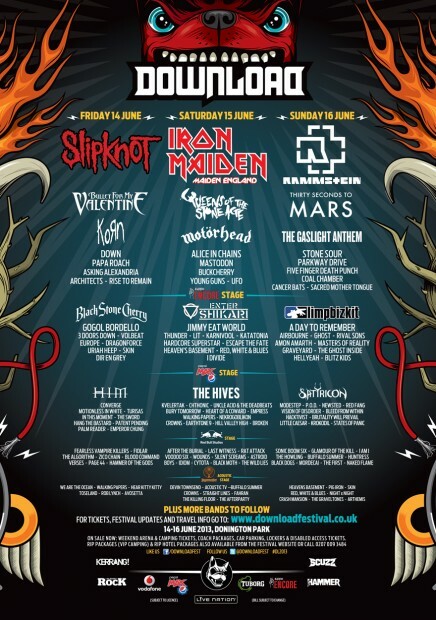 For tickets to Download Festival 2013 hit this link – Download Festival Tickets 2013.